Deciding where to invest your marketing dollars isn’t a decision you take lightly. You know you need to attract new customers and keep your existing clients coming back, but you can’t afford to invest time or resources into something that isn’t going to deliver the results you expect. An email marketing campaign is a cost-effective solution that gives you the power to reach customers in a place most people visit every day — their inbox. But if you really want to find out how small business email marketing can work for your business, why not ask other small business owners and see how it worked for them? We’re constantly on the lookout for the exciting and innovative ways our customers are using email marketing to build customer relationships and do more business. When done right, email marketing lets businesses reach the right person, with the right offer, at the right time. For a business like Rejuvenate Therapeutic Massage, a well-timed email results in a flood of calls each time they hit send. As fundraising efforts continue to move online, nonprofits need to adapt their outreach efforts as well. Texas-based nonprofit, Rescued Pets Movement, saw the benefit of using email campaigns to increase donations when they sent an email to raise emergency funds for a dog in need in March 2013. If your business depends on having a reliable way to communicate with your members and clients, you need to have a communication channel you can trust. For real estate management company, Buccini/Pollin Group, email has provided a reliable solution to keep tenants informed and up-to-date. When you have an audience of people who opt in to receiving updates from your business, you’ll be able to think differently about how you boost sales throughout the year. This has been especially valuable for a business like Colorado-based Allegria Spa, which communicates with local residents and visitors from around the country. Another benefit of email marketing is that it gives you the metrics you need to see how your campaign emails are performing. These insights help you market smarter, and also give you the advantage of better understanding the needs and interests of your customer base. One of the benefits of using an email marketing provider is that you have access to professionally-designed email templates. These templates are designed to make it quick and easy to get your message out to your audience, and ensure you look professional when it lands in the inbox. Email templates aren’t just easy to use; they’re also designed to make sure you look professional when you reach your audience member’s inbox. You can insert your own content and customize each email template with your logo and colors to make sure it matches your brand. Unlike other marketing channels that often limit your ability to customize your message for the different audiences you communicate with, email marketing gives you the ability to organize your audience into lists and communicate with people based on interest, purchase behavior, location, and more. This has proven especially useful for someone like Courtney Hendricson, who manages the communication between the local government and business community of Enfield, Connecticut. Not everyone who joins your email list will be ready to make a purchase or sign up for a service. Email gives you the opportunity to capture new visitor’s attention and nurture the relationship with helpful and informative content. Meghan Blair-Valero, owner, Fogged in Bookkeeping, Inc.
You want your marketing message to be something that people look forward to seeing. Email lets you keep track of which messages are generating the most opens and clicks, so you know which messages will get people excited to hear from your business. Email marketing lets you start a two-way conversation that will benefit you and your readers. Don’t just push your message out to them; encourage them to share their feedback and ideas. This approach has worked well for a company like WH Cornerstone Investments, which relies on email to share helpful advice, news, and education with clients. As a small business, it’s not always easy to stand out in a crowded market. Email marketing allows you to build an audience that is interested in hearing from you, without having to pay for other advertising channels. Reaching out to clients on an individual basis can be a costly and time consuming process. Email helps you save time by reaching out to your wider audience, while still delivering a message that’s personal and relevant to them. Learn more: Help, My Contacts Aren’t Opening My Emails! When you adopt a communication strategy that fits your audience’s needs, you’ll have more people paying attention to your message and get a higher return overall. For a business like Cotton Clouds, making the switch from print to email newsletters doubled the amount of sales they were able to generate each time they reached out to clients. In addition to connecting with the people on your email list, you can also share your newsletters and announcements on your own social media networks to bring new people to your business. Once you learn the basics, you’ll be able to put together a plan to get your emails out to your audience of subscribers in less time. If you’ve tried other marketing activities, it can sometimes feel like you’re completely on your own. Here at Constant Contact, we believe you shouldn’t have to do it alone. You’ll have the support you need to get things done, and tools and training to become an expert marketer. By sharing relevant content with your audience throughout the year, you’ll be able to stay top-of-mind and build credibility. While they may not be ready to act right away, when your audience knows you have something that can help them solve a problem they’ll be more likely to take action when the time is right. As much as you’d like to think customers know about all of the different products and services you have to offer, there’s a good chance that many of them don’t. This was a problem the McDonald Wildlife Photography faced when they first got started with email marketing for their travel business. Taking a more pro-active approach to their marketing proved to be exactly what they needed to improve exposure of the services they offer. Whether you need to get the word out about a class weeks in advance or want to make up for some last-minute cancellations, email marketing can help you get the word out about all of your activities in a way that’s convenient for you. This is especially important for a yoga studio like extendYoga, which hosts a full schedule of classes every day. You’re probably already investing time and resources into marketing to potential customers. But are you also thinking carefully about how you build relationships with vendors and partnering businesses? Email gives you the ability to maintain communication with all of your different audiences so that you can build the relationships you need to be successful. As you can tell, we love to hear the stories of businesses that have used our email marketing services to grow their business. 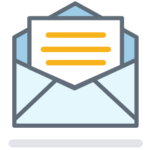 If you’re already using email marketing and have seen great results, we’d love to hear your story in the comments below! If you’re not using email marketing, and are interested in seeing how it could benefit your small business, you can try it for free. Start your free 60-day trial of Constant Contact today!